FEEDING. 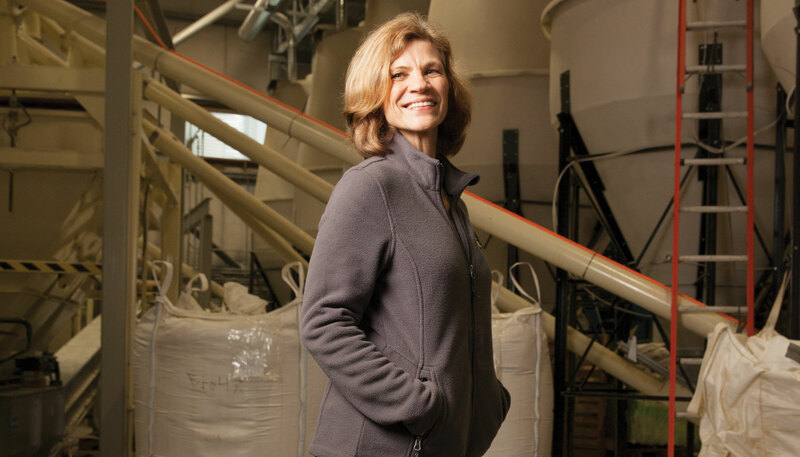 Diana Ambauen-Meade is founder and CEO of Scratch and Peck Feeds. If organic food is good for us, it’s also good for animals. Family-owned Scratch and Peck Feeds launched in 2010 to produce organic, whole-grain, non-GMO, non-soy chicken feed, and has since added feeds for ducks, turkeys, pigs and goats. Signifying the growth in demand for its products, Scratch and Peck moved last year to a new plant in Burlington, one offering more than double the production space of its former quarters as well as greater automation and shorter turn-around time to fill orders. The company pays close attention to sourcing: It launched the Rubber Boots Workshop Series to share knowledge and build relationships with local small farms that are its preferred suppliers. The long-range goal is to build a thriving regional food network in which Scratch and Peck provides an integral link.